Let us help you drive your creation! 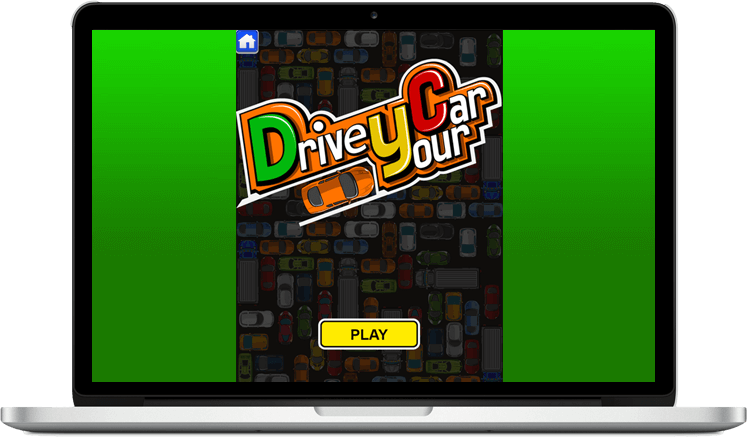 Get developed a game like Drive your Car. 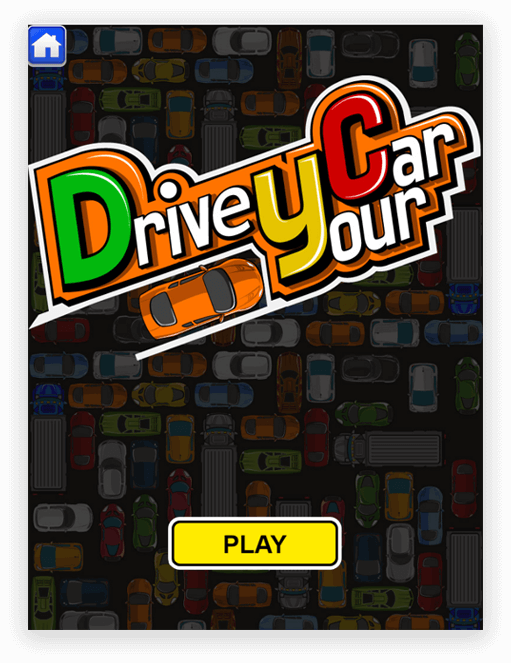 Drive your Car is a car-based game designed for racing enthusiasts. 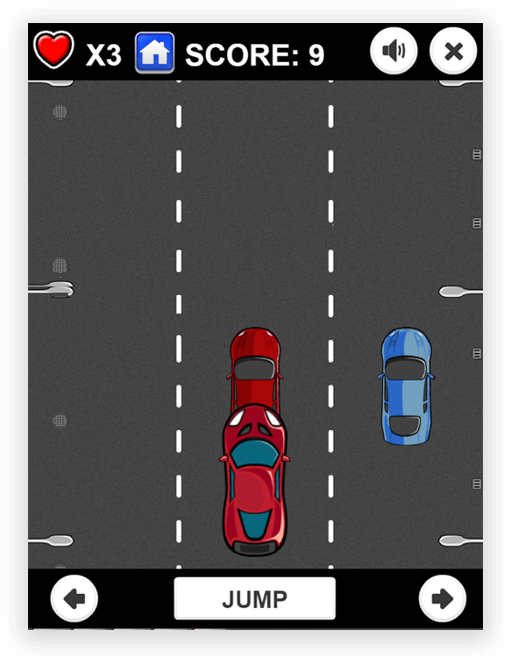 This endless game is free to play & available on a web browser. 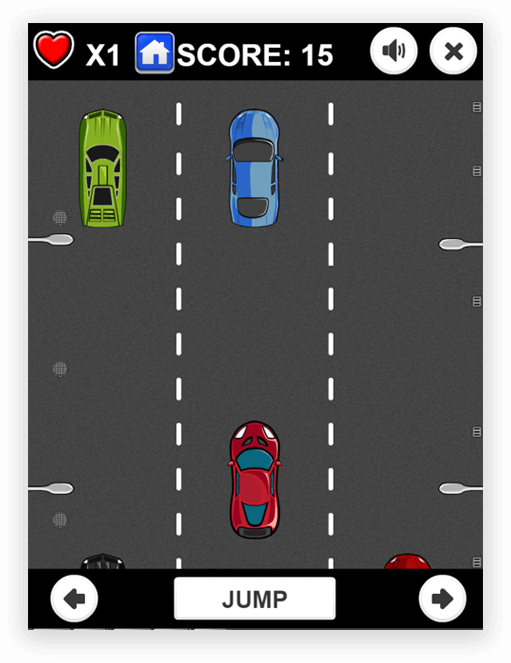 A team of developers at ChicMic have developed an array of apps and Drive your Car is one of the addictive games. From slow to fast-paced styling, the game delivers an ultimate experience. 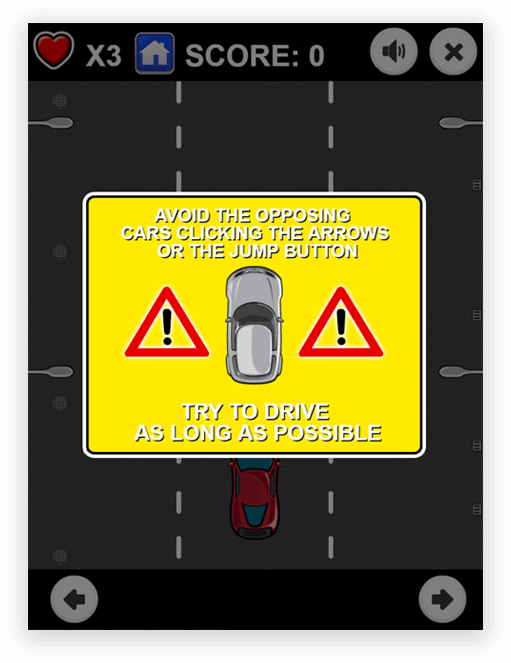 The game aims to drive as long as possible avoiding the opposing cars by clicking the arrows & using the jump button. Whether the one is a professional racer or car racing lover, this web game is a perfect choice. A user gets three hearts as lives in the game to make the best score. The moment car collides the user loses one life.